We get a lot of enquiries from customers asking what they need to do to their deck for it to be ready to paint or treat. So we thought we’d give some guidance as it’s not a ‘one solution fits all’ sort of question! 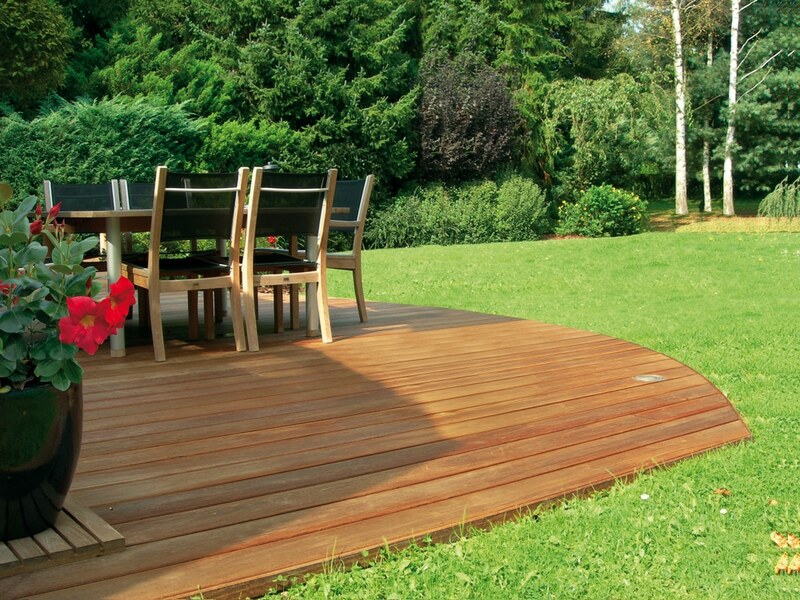 The preparation you need to do to your decking depends on the state it’s in and what has been done to it before. We have separated this guide into sections relating to decks in a range of conditions . Hopefully these will cover all possibilities! New wood surfaces usually have a hard shiny surface called mill glaze. This unfortunately prevents finishings from penetrating the wood and can affect their performance substantially. As such, we would always suggest treating your new wood with Seasonite, our new wood protection, which allows the wood to take in and let out moisture in a controlled manner. This avoids the splitting and warping that new wood can be prone to. 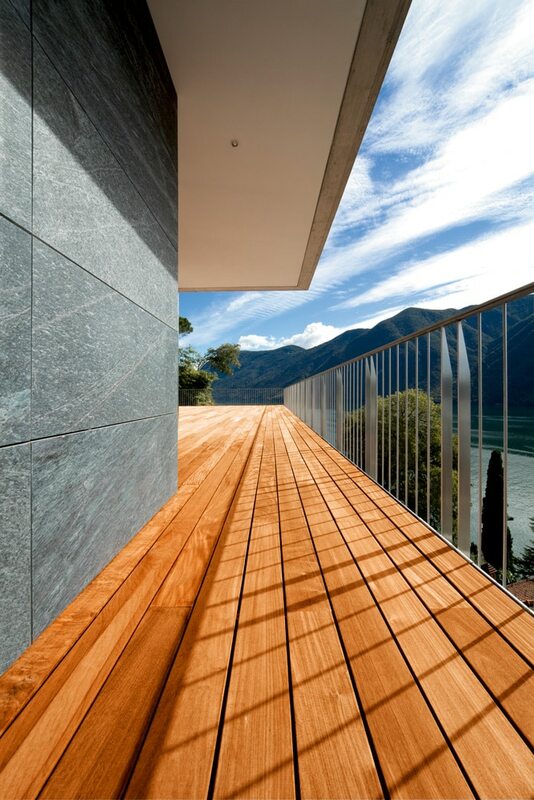 We would then suggest leaving your deck for 6 months to a year before treating with your chosen finish. To prepare it at this point you would follow the directions for untreated weathered wood. However, if you are anxious to have your finish applied sooner rather than later we would suggest using Aquanett. This will strip as much of the mill glaze as possible. Aquanett is easy to apply as it’s a gel and can be simply rinsed with water. After stripping you would need to neutralize the deck with Net-Trol wood cleaner and color restorer. This is simply brushed on with a stiff brush, left to work and then rinsed with water. Be sure to allow your wood a good 2 or 3 drying days before applying a finish. You could then apply a high quality finish such as Solid Color Stain or Deks Olje D1 and still expect good results. 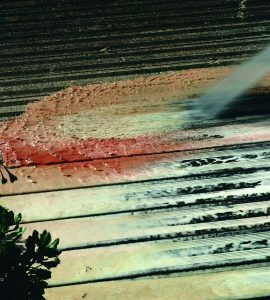 If your deck is not new but has never been treated before then the surface preparation is pretty simple. There will be a built up dirt and grime on the surface which will have started to turn the surface grey. This needs to be removed before a coating is applied as otherwise the finish will not be able to penetrate. Also if you have chosen a clear finish then you want your lovely wood color back not a dirty grey! To clean your deck and restore it’s new wood color simply use Owatrol’s Net-Trol wood cleaner. It’s scrubbed into the wood with a roller or stiff brush and then left to work for 15 minutes. The Net-Trol must then be rinsed off the deck whilst continuing to scrub the surface to remove the grit and grease. For more information about how to do this you can check out our video demonstration on the product page for Net-Trol. Next allow 2-3 days for the surface to dry and you are ready to apply your finish! If your deck has previously been treated with a wood oil you will first need to remove any remaining oil using our wood oil remover Aquanett. Aquanett should be applied in a thick layer to the surface of your deck. Be sure to get it into the grooves. Leave this application for no more than 5 minutes and then apply a second lot when the ‘wet look’ of the first has disappeared. Now leave this for 15-20 minutes. Then scrub the surface with a stiff brush whilst rinsing with the highest powered water you have available. Using warm water will help this process but using cold is also fine. You can now continue with your surface preparation by following the instructions as for an untreated deck. Unfortunately all previous coatings will need to be removed before applying a new finish. However, this is not as difficult as it seems and does not involve hours of laborious sanding! To remove previous coatings simply strip them using Prepdeck wood stripper. Apply Prepdeck to the area to be stripped or cleaned and allow to work. After appropriate time, test small area with nylon scrubbing brush to see if finish or dirt is lifting. If lifting, scrub area with a stiff nylon brush, deck brush or use a Power Washer at 1000-1500 psi (70-103 bars) depending on type of wood. Always work in direction of grain. Rinse with copious amounts of fresh water, using the highest pressure from the water source available or use a Power Washer at 500-1000 psi (35-70 bars) working in direction of grain. (Rinse adjacent areas at same time). Then continue with your surface preparation by following the instructions for untreated decks. This is because all wood surfaces should be neutralized with Net-Trol after stripping. What if my deck has mildew? If your deck has mildew then you should treat it before applying a finish. To do this you can scrub it with a 50:50 solution of bleach and water (be careful of surrounding plants!) Once you’ve scrubbed the solution into the surface, leave it for approximately 10-15 minutes before rinsing. Then allow it to dry. What if I don’t know what my deck has been treated with? If you are unsure how your deck has been treated, it’s safest to follow the instructions for a previously coated deck. It’s much better to over-prepare than to blindly apply a finish only to find in 12 months that you’re got to start from scratch. Well now your deck is ready for painting you have many options for finishes and it’s entirely your choice. Below are some of our Owatrol recommendations but the choice is of course yours!